Tuesday 2 August sees the launch of our Street Team. 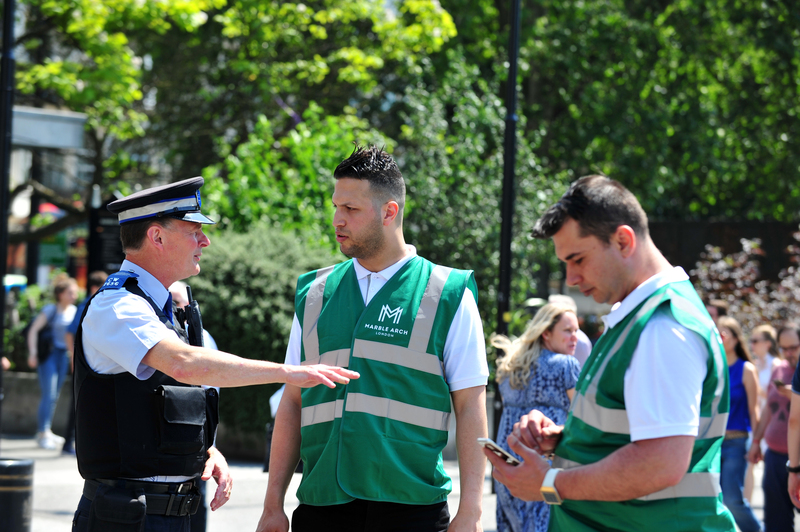 Rami, Ali, Marta and Lotfi will be patrolling the area from Tuesday to Saturday each week, discouraging anti-social behaviour and reporting problems to the police and Westminster City Council. The team will be making contact with building and security managers, front of house staff and concierges to introduce themselves and talk about their role. You can flag a range of issues to the team, who have received an extensive induction from the Metropolitan Police, Westminster City Council, Transport for London and homeless agencies. 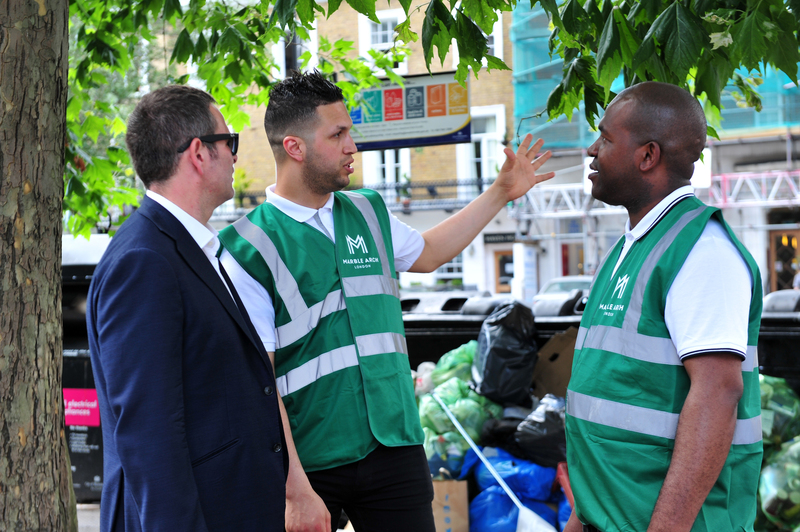 If you encounter persistent begging, experience dumped waste outside your premises, are concerned about rickshaws, disturbed by noise, are affected by shop-lifting or want to report a vulnerable rough sleeper the team will be able to assist you. They will also make sure the road and pavements are safe, and will alert Transport for London to any problems on Edgware Road and around Marble Arch. The team will cover the area from the top of Park Lane up to and including the Marylebone Flyover, going as far west as Connaught Village and as far east as New Quebec Street. They will be working closely with our neighbours PaddingtonNow BID, Baker Street Quarter Partnership and New West End Company, to ensure that we don’t simply displace problems. Working to midnight in the summer and to 8pm in the winter (sometimes later at weekends in response to police campaigns) the street team will also cover the area around Marble Arch itself, to prevent concentrations of rough sleepers either in the park or in the subway network below Park Lane. Rami, Ali, Marta and Lotfi will be patrolling with the police and the City Council’s inspectors initially, before becoming a valuable extra set of eyes and ears.